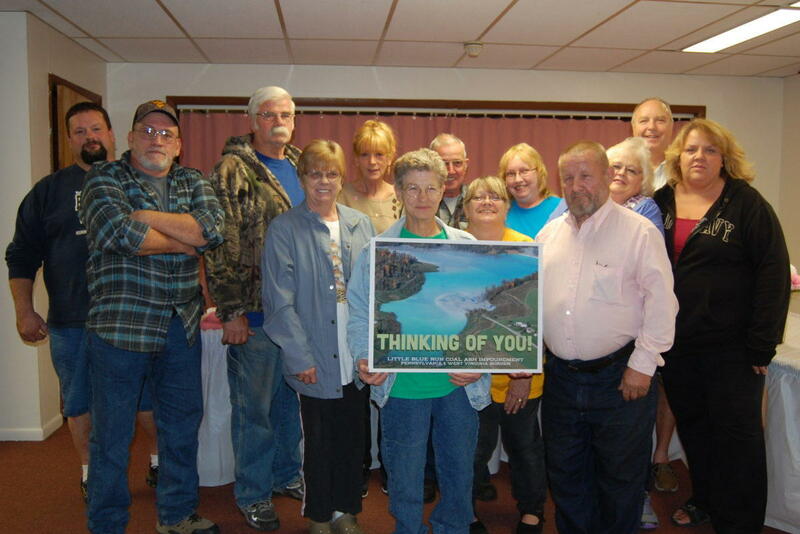 Residents formed Little Blue Regional Action Group to hold the utility accountable for contamination. Chester, West Virginia, is a small town of about 3,000 people, just a stone's throw from Pennsylvania to the east and Ohio to the north.The region’s rolling hills are dotted with family farms and the “world’s largest teapot” proudly welcomes visitors into downtown. But the area is also home to another object of record-breaking size: the largest coal ash waste site in the United States. In the mid-1970s, Pennsylvania Power Company, a subsidiary of Ohio Edison Company, built the coal-fired Bruce Mansfield power plant in nearby Shippingport, Pennsylvania. In the mid-1990s, Ohio Edison Company and Centerior Energy Corporation merged, creating FirstEnergy, which took over as owner and operator of the facility. The coal plant brought jobs, but plant operators also needed a place to put the toxic remnants of the coal it burns. For decades, the ash mixed with water was piped seven miles from the plant into the coal ash impoundment, Little Blue Run. The bright, eerie blue water in Little Blue could be seen from space. “We used to say welcome to Jamaica because that's what it looked like,” Debbie said. Little Blue’s 16 miles of shoreline cross from West Virginia into Pennsylvania. On Google maps, the site is called “Little Blue Lake” and has a five-star rating. “Really big and beautiful,” wrote one reviewer. 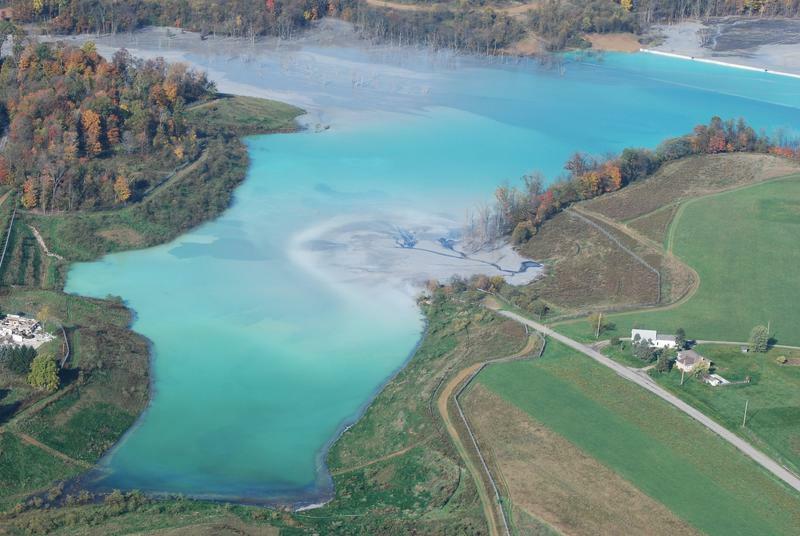 The problem is, Little Blue is not a lake, it’s a dump for coal ash. 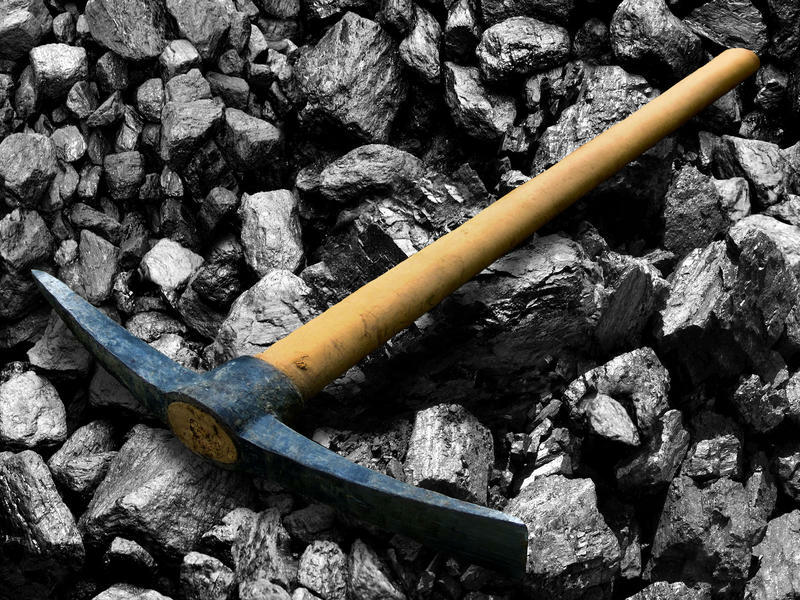 Coal carries trace amounts of many elements, many of them toxic, such as arsenic, lead and mercury. After burning, those contaminants remain in the ash. According to the EPA, the country has more than 1,000 coal ash sites, including impoundments, or ponds, which store wet waste, and landfills, which store dry waste. 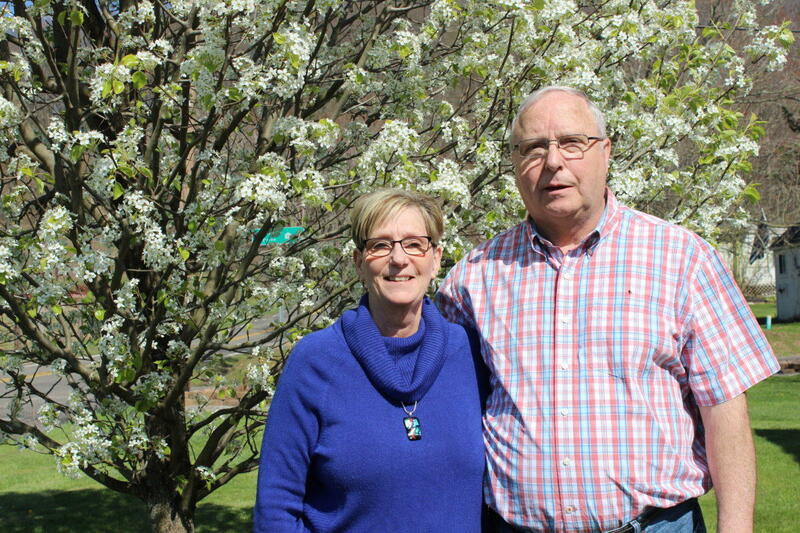 Curt and Debbie Havens lived near Little Blue Run, the country’s largest coal ash waste site. Three-quarters of the sites are more than 25 years old and 10 percent are more than 50 years old. Many do not have adequate protections, such as liners to prevent environmental contamination. In many ways Little Blue is emblematic of the problems posed by coal ash disposal sites. In some communities, dust from open coal ash landfills choke nearby neighborhoods. For decades, advocates and researchers have said heavy metal-laced water leak out of these earthen ponds and into the water table. Concerns have surfaced about groundwater contamination from these unlined sites. In 2015, the EPA finalized a federal rule to regulate coal ash sites. It required utilities to begin testing the groundwater near these coal ash sites and make that data public. The first batch of data was due this spring. According to an analysis by WFPL and the Ohio Valley ReSource, all seven coal ash waste disposal sites that reported data in West Virginia show evidence they are leaking. And some dangerous contaminants are being found at levels above federal drinking water standards. The analysis found lead at six sites at levels above federal limits. And arsenic, which can cause cancer, was detected in wells at four sites. In March, the Trump administration announced it was revisiting the 2015 regulation. In a press release, EPA Administrator Scott Pruitt said the changes provide states “with the ability to incorporate flexibilities into their coal ash permit programs based on the needs of their states.” It would also save utilities from $32 to $100 million. Environmental advocates call it a roll back and they point to Little Blue Run as the cautionary tale of what can go wrong with inadequate regulation. In Greene Township, Pennsylvania, home to two-thirds of Little Blue’s landmass, local lawmakers have for decades raised concerns that water from Little Blue was contaminating local groundwater. The township relies on groundwater for both individual and agricultural use. On the West Virginia side, the Havenses and their neighbors report putrid smells, like sewage, sometimes waft through the neighborhood. Also alarming were the “seeps,” or water leaking out of the waste site into people’s yards. Debbie describes one neighbor’s experience. While out mowing her lawn, the neighbor noticed her yard had become swamp-like. She discovered a stream of water flowing out of a flowerbed. 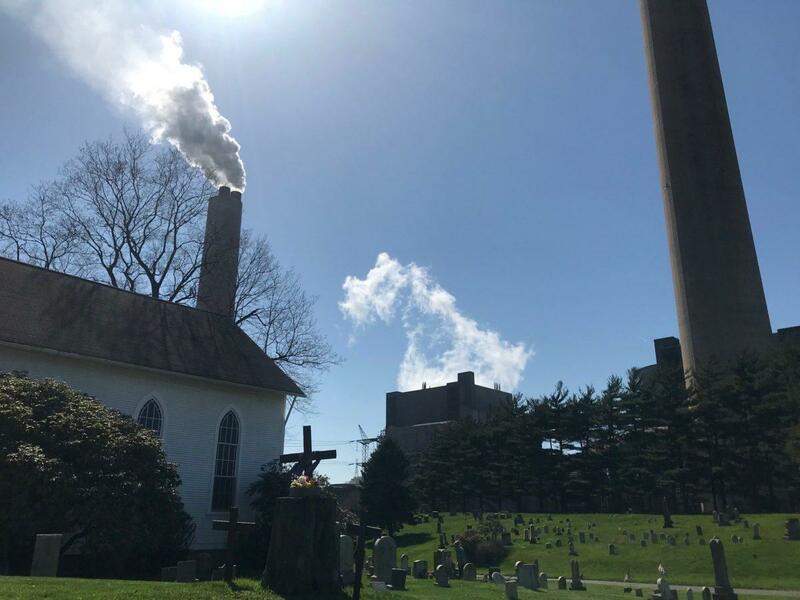 The coal power station on the border between WV and PA looms over neighboring homes and churches. That resident, like many in the neighborhood, was bought out by FirstEnergy. Cancer and other diseases have taken others. Curt was diagnosed with thyroid cancer. Then, high blood pressure and diabetes. He also had to get a pacemaker. He said he has no family history of any of these things. The Havenses know it’s hard to prove a connection to the contamination but it’s still a worry. Increased risk of health problems are associated with coal ash waste sites. A 2017 study of more than 100 children who lived near a Kentucky coal ash site found they were significantly more likely to suffer from asthma, allergies, attention-deficit hyperactivity disorder and gastrointestinal problems than children who did not. For years, the Havenses and others in the community raised their concerns with state regulators and the company and little changed. 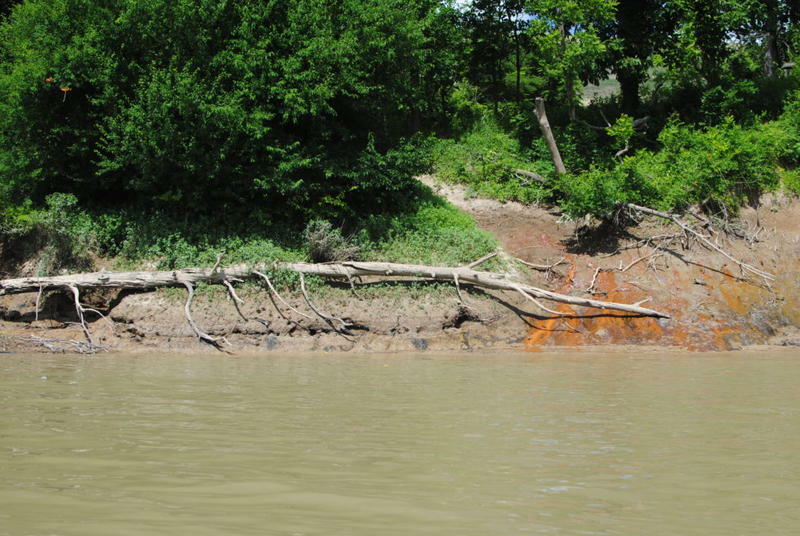 In 2012, with the help of the advocacy group Environmental Integrity Project, residents sued FirstEnergy alleging leaks, seeps, and direct discharges of toxic pollution from the Little Blue Run impoundment violate both federal and state laws. The company was fined $800,000 and agreed to close Little Blue by 2029. Documents published as part of the lawsuit show state regulators alerted FirstEnergy of possible groundwater contamination of chloride and calcium in 1989. Beginning in 2010, the EPA embarked on a five-year process to create the federal rule to regulate coal ash disposal sites. The final rule required companies to monitor and publish groundwater data so communities could have a better picture of what was going on. And if a coal ash site was found to be leaking, like Little Blue, the rule required the operator to shut it down. Lisa Graves-Marcucci, Pennsylvania coordinator for community outreach, with the Environmental Integrity Project, helped the group of concerned residents testify to the EPA during the federal rule making process. She said the documents show state regulators and FirstEnergy knew there was contamination for decades, but Little Blue was allowed to continue operating. She said what has happened at this coal ash waste site is the cautionary tale for the EPA and illustrates why federal regulation is needed. In the end, the final 2015 rule was not as strong as environmental advocates had hoped. Several scientists argued that the rule should label ash a "hazardous substance." The industry lobbied against that, arguing a hazardous waste designation would make it hard to continue using coal ash in building materials such as wallboard and concrete. Ultimately, the EPA did not adopt the hazardous designation. But the rule did set a baseline level of standards. It required utilities to begin testing the groundwater near coal ash sites and post that data. Sites there were found to be contaminating groundwater or to be seismically unsafe would need to close. Now, as the Trump administration's EPA considers changes, many of those aspects of the rule are in question. Some industry groups say EPA’s rule changes are needed because state regulators need more flexibility. In a statement, FirstEnergy spokesperson Jennifer Young said the 2015 rule duplicated state coal ash regulations. “We support the proposed changes that simplify compliance while also providing for site-specific design, physical and geological characteristic analysis, improving the overall effectiveness of the rule,” she said. In September 2017, the Utilities Solid Waste Activities Group, a trade association that represents utilities, petitioned the EPA to reconsider portions of the rule. EPA’s proposed changes would allow states to set contaminant monitoring standards and corrective actions. For example, under the 2015 rule if a site is found to be leaking, the operator would need to take action within 90 days. The proposed changes allow leaks as long as the operator can make “certain demonstrations” to state regulators that the leaking water won’t get into drinking water. Frank Holleman, a senior attorney with the Southern Environmental Law Center, argues the proposed rule changes would ultimately weaken protections. The center has worked with communities across the South on coal ash and their litigation has led to the closure of coal ash ponds and landfills across North Carolina, South Carolina and Virginia. Little Blue Run, pictured here in 2011, is the country’s largest ash waste site. Over the course of filing citizen lawsuits against coal ash site operators, he said he routinely looks at engineering reports filed by state regulators that show there are known problems with coal ash facilities. Rarely, does an operator make changes. For the Havenses, they continue to report when odors waft over from Little Blue. They’re building a new home farther away from the coal ash waste site. Still, it’s hard to leave the place they’ve called home for more than 40 years. Just recently Debbie was in the garage looking at a piece of the wall where for years the family marked their youngest son’s height as he grew up. The EPA is currently reviewing comments it received for the first round of proposed changes to the federal coal ash regulation. It is expected to propose another set of rule changes in September. This story is the third part of the Coal Ash Uncovered series. A new study finds rising production costs, not cheap natural gas, was the lead factor that drove thousands of coal mines across Appalachia to close.